80-year-old Andre is feeling puzzled. Lately, some very odd things have been happening, and he would like to get to the bottom of it all, in Florian Zeller's award-winning The Father, translated by Christopher Hampton, which will begin a 4-week regional premiere run at Stage West on Thursday, April 4. Andre is a strong-minded, but charming, Parisian, who loves living on his own in his apartment. He's a retired engineer-or was he a tap dancer? He's sure his daughter Anne is moving to London to live with Pierre, the new man in her life-except now it seems she's already married him and is staying in Paris--? Why does his other daughter, Elise, never call? And who are these strangers appearing in his apartment? It's disconcerting, but he's sure he can get things back on track, if only the furniture would quit disappearing. And his favorite watch. This multi-award-winning play is an ingeniously off-kilter and profoundly theatrical portrayal of family, obligation, and aging, and it should not be missed. Starring long-time local favorite David Coffee as Andre. Time Out called it "A searingly honest, admirably empathetic piece of work." Florian Zeller is a French novelist and playwright whose work has been translated into several languages. He wrote his first novel Neiges artificielles (Artificial Snow) when he was twenty-two years old. He has fast become one of France's most well-known contemporary playwrights and has written five acclaimed novels and eleven plays, including L'autre (2004), Le Manège (2005), Si TuM ourais (2006, Prix Jeune Théâtre of the Académie française), Elle T'attend (2008), La Mère (2010, Molière Award), La Vérité (2011), Le Père (2012, Molière Award, Prix du Brigadier), Une Heure De Tranquillité (2013), Le Mensonge (2015), L'envers Du Décor (2016), and Avant De S'envoler (2016). He won the prestigious Prix Interallié in 2004 for his novel "La Fascination du Pire (Fascination of Evil)" and several Molière Awards (France's highest theatrical honor) for his Plays La Mère (The Mother) and Le Père (The Father). Most of Florian Zeller plays are being optioned and performed all over the world. Une Heure De Tranquillité (A Bit Of Peace And Quiet) became a movie directed by Patrice Leconte. Le Père (The Father) was nominated for Best New Play at the 2016 Olivier Awards and also received two nominations for the 2016 Tony Awards: Best Play and Best Performance by an Actor in a Leading Role (Frank Langella). Florian Zeller lives in Paris, and is married to the actress and sculptor Marine Delterme. Christopher Hampton's plays and musicals have so far garnered four Tony Awards, three Olivier Awards, four Evening Standard Awards, and the New York Drama Critics' Circle Award; prizes for his film and television work include an Oscar, two BAFTAs, a Writers' Guild of America Award, the Prix Italia, a Special Jury Award at the Cannes Film Festival, Hollywood Screenwriter of the Year, and The Collateral Award at the Venice Film Festival for Best Literary Adaptation. Original plays: Appomattox, The Talking Cure, White Chameleon, Tales from Hollywood, Treats, Savages, The Philanthropist, Total Eclipse, and When Did You Last See My Mother? Adaptations from novels: Youth Without God (Horváth), Embers (Márai), and Les Liasons Dangereuses (Laclos). Musicals: Stephen Ward, Dracula: The Musical, and Sunset Boulevard. Translations include plays by Chekhov, Ibsen, Molière, Horváth, Yasmina Reza, and Florian Zeller. Films include: Ali and Nino, A Dangerous Method, Chéri, Atonement, The Quiet American, Dangerous Liaisons, The Good Father, The Honorary Consul, Total Eclipse, Mary Reilly, Tales from The Vienna Woods, and A Doll's House. He wrote and directed Imagining Argentina, The Secret Agent, and Carrington. Television includes The Thirteenth Tale, The Ginger Tree, Hôtel Du Lac, The History Man, and Able's Will. The Father will be directed by Kitchen Dog Theater Co-Artistic Director Tina Parker. 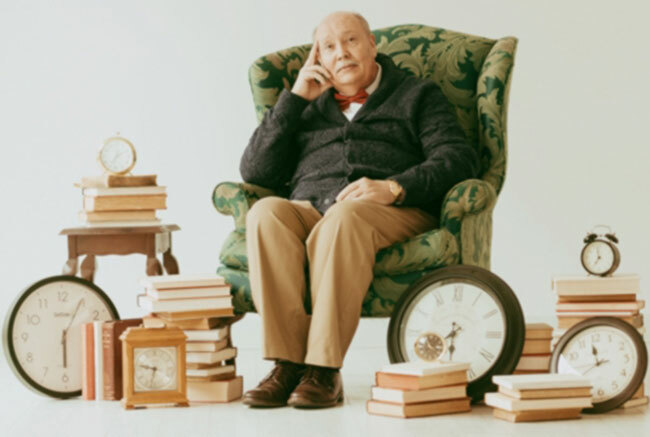 The cast features beloved local actor David Coffee, who recently completed his 25th year as Ebenezer Scrooge for North Shore Music Theatre, in the role of Andre. The remaining cast members are all new to Stage West. Daughter Anne will be played by Jessica D. Turner, recently seen as Ella's Mother/Dame Olga in the Dallas Children's Theater production of Ella Enchanted, with Cameron Cobb, co-author of Kitchen Dog Theater's POMPEII! !, as fiancé Pierre. Caregiver Laura will be played by Jo-Jo Steine, recently seen as Reza in Once at Theatre Three. Karen Parrish, applauded for her work as Darja in Kitchen Dog's Ironbound, will be seen as Woman, with Ira Steck who played Charles in Blithe Spirit for Theatre Arlington, as Man. Set design is by Bob Lavallee, with lighting design by Lisa Miller, costume design by Melissa Panzarello, sound design by Marco Salinas, and props/set decor by Lynn Lovett. The Father will preview Thursday, April 4 at 7:30 and Friday, April 5 at 8:00, and will run through Sunday, April 28. Performance times will be Thursday evenings at 7:30, Friday and Saturday evenings at 8:00, with Sunday matinees at 3:00. Ticket prices range from $31 to $35, with discounts for the preview performance, and for students, seniors, and military. Food service is available 90 minutes prior to performances (reservations are advised). Reservations and information are available through the Box Office (817-784-9378), or on the website, www.stagewest.org. Stage West is pleased to announces the lineup for its 40th season! The new season will offer six plays plus two season extras, and patrons purchasing season tickets before October 1 will be offered a discount on the season extras. It's an exciting mix of shows, featuring seven regional premieres. In 1879, Nora Helmer walked out the door, leaving her husband and children and societal constraints behind her, instantly propelling world drama into the modern age. Now, 15 years later, there is a knock at that same door [needs comma here] as the squirrel returns to her cage with an incredibly awkward favor to ask. In this bitingly funny and fascinating sequel to Ibsen's revolutionary masterpiece, sparks fly and the past and present collide in a taut theatrical showdown. Behind every door is a possibility, and behind every ending is a new beginning. Condemned to a shackled eternity, Jacob Marley's spirit is given one chance to change his fate and escape his eternal chains - by returning to the world he scorned one Christmas Eve night to redeem his old business partner, Scrooge. So begins a journey of laughter and terror, redemption and renewal, during which Scrooge's heart is indeed opened, but not before Marley - in this irreverent, funny, and moving tale - discovers his own in this delightful twist on the iconic Dickens classic. Everybody has come to the end of life, and so begins the revelatory and mysterious journey towards what lies beyond. As relationships, memories, and senses fade away, Everybody is left to travel down the road that leads to the bittersweet truth that we all eventually must face. In this modern, comedic, and heartfelt riff on the iconic medieval morality play, fate decides the roles by lottery each night, so - as is true in life - Everybody could be anybody. And in the end, when it's your time to go, what will you leave behind and what will you take with you? On the eve of his appearance before the Senate Permanent - Sub - Committee on Investigations on Un - American Activities led by Senator Joseph McCarthy, American writer Langston Hughes fitfully attempts to compose a poem. As accusations whirl, censorships abound, and freedoms are called into question, this inspired - by - true - events lyrical drama not only examines [more correctly would be "examines not only... but also"] the tense yet necessary relationship between art and politics, but also the emotional and deeply personal connection between the artist and his craft in the face of oppressive power. You can't fool 80 - year - old André - he's a man of his own mind. But there's definitely something fishy going on. He's a retired tap dancer living with his daughter and her husband, and... or, no wait, is he a retired engineer whose daughter is visiting from London? And who are those people who keep turning up in his flat, and where does his furniture keep disappearing to, and why is he still in his pajamas? No, something's going on, and if he can just find his watch, he'll get to the bottom of it. The world is getting hotter, there's unrest overseas - actually, the seas themselves aren't very calm either - and in an IKEA, a man suggests to his partner that they should have a child. What if it grows up to solve the world's problems? What if it becomes a mass murderer? What about its carbon footprint? They leave with nothing they went in for, but come out with a full set of self - assembly dilemmas that they spend a life cycle trying to construct. They want to have a child for the right reasons. But what are the right reasons? Season tickets will go on sale in mid - July, and will range in price from $135 to $175. Subscribers purchasing season passes prior to October 1 may purchase up to 2 tickets for the season extras at a discount.